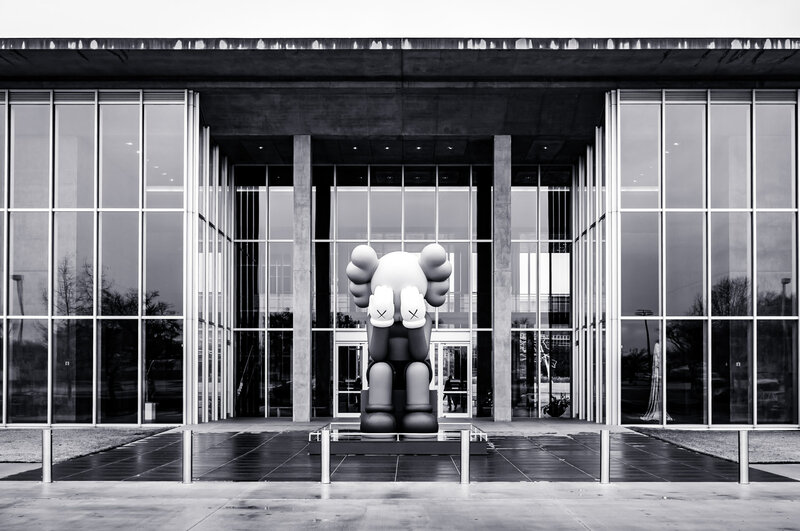 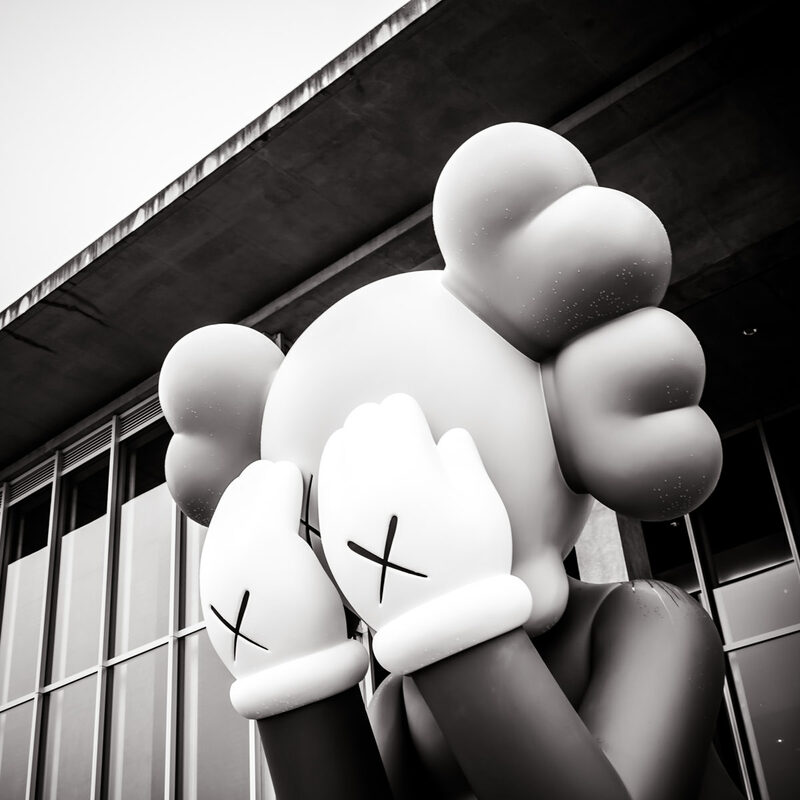 Companion (Passing Through) by American artist KAWS (Brian Donnelly), outside the Fort Worth Modern. 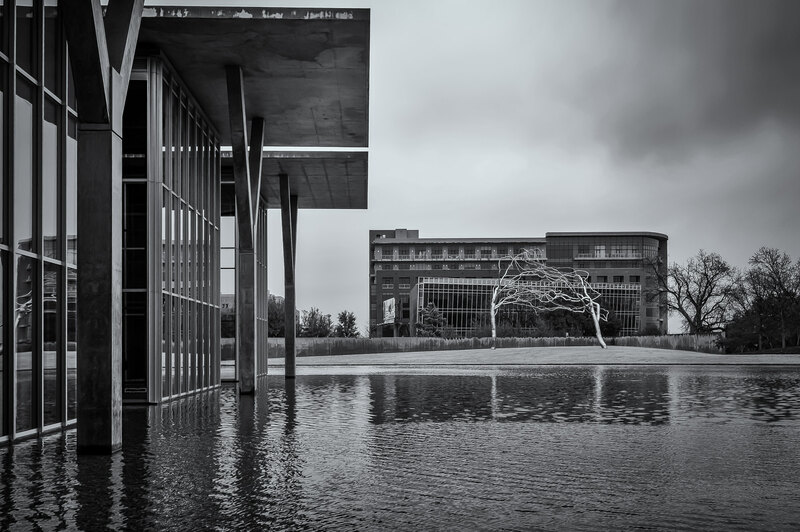 Fort Worth’s Modern Art Museum appears to rise from the surrounding pool of water. 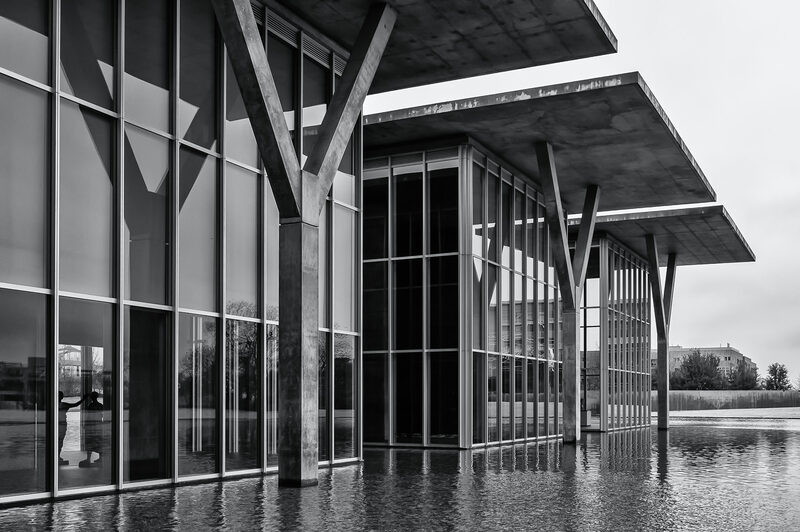 Exterior detail of the Modern Art Museum of Fort Worth.